If your pre-schooler is like mine, then they’re all about the Disney Channel and Disney Junior. The marketing wizards over there do a rock solid job of hyping their upcoming projects and getting the young viewers like my daughter super psyched about all of their projects. That of course includes Big Hero 6 , which we planned on seeing in the theaters, but just couldn’t thanks to all the new house happenings. Since we weren’t able to see this one theatrically, we’re anxiously awaiting the film’s arrival on Blu-ray. And it looks like this version will have the kinds of extra features Disney fans have come to expect from their various offerings according to a press release I just received. In addition to the short film “Feast,” the set will include features like “The Origin Story of Big Hero 6” which gets into the property’s comic book roots, a look at the half dozen main animators called “Big Animator 6,” deleted scenes, gags and a guided tour of the film’s many Easter Eggs. Check out this clip to get a taste of all the hidden Frozen references throughout the movie. 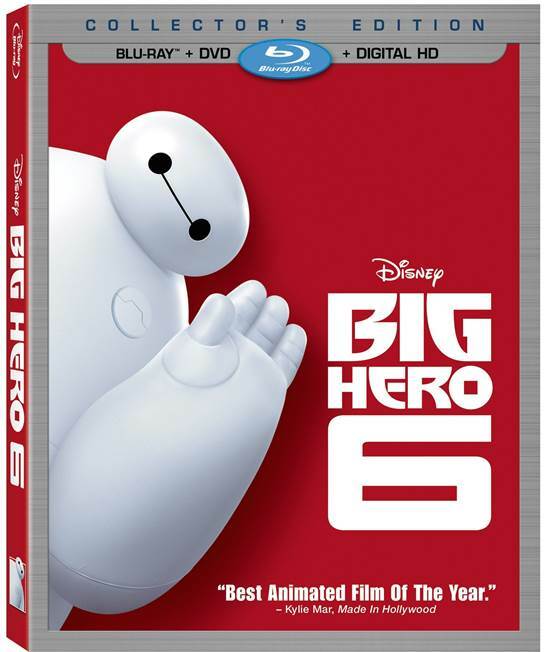 Big Hero 6 is scheduled to hit home video on Feb. 24th, though it will be on Disney Movies Anywhere and Digital HD on the 3rd. Next Who Decided That Bead Mazes In Doctors’ Offices Were A Good Idea?